In July of last year, an article on the problems with PEX pipe was published. In that article, one of the things that was described was the fact that multiple failures were being seen in the same line. The failures that were described were encountered during the same investigation. However, a case that was investigated last year has been reopened. At the time of the investigation, the failed section of PEX pipe was recovered and the section repaired and the line placed back into service. Now, a few months later, a second failure has occurred in the same line that initially failed and was repaired. What to do? Replace PEX piping with copper piping, if feasible. If not, PVC, CPVC and polybutylene piping can be acceptable substitutes (at this time 1/8/13). 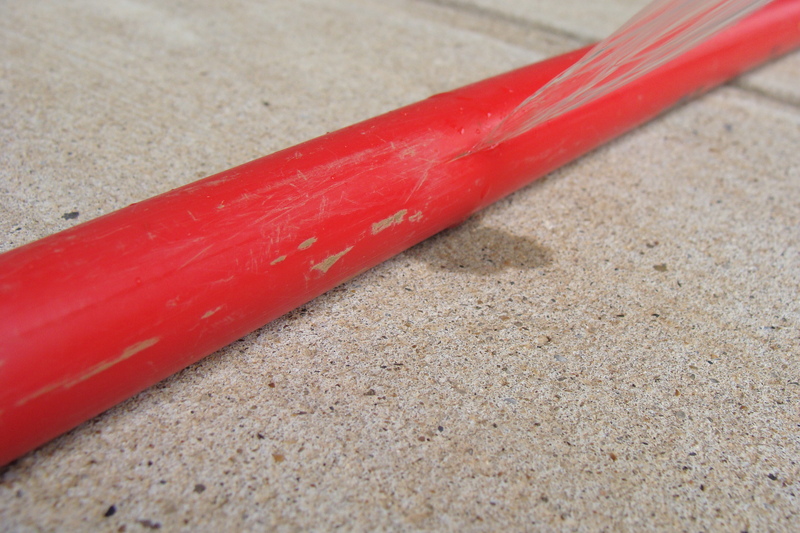 An example of the failure observed in PEX pipe is shown in the photograph below. Cross-linked polyethylene or PEX pipe has been on the plumbing market for a several years and has been accepted by most plumbers as an acceptable substitute for copper piping in potable water systems. There are at least two methods by which PEX pipe is manufactured and depending on the manufacturer, theirs is the best way. However, regardless of the method of manufacture, PEX pipe has a couple of drawbacks. PEX pipe is subject to degradation by exposure to chlorine, ultraviolate radiation, and rough handling. I bring this up because I am presently working on a case involving extensive water damage due to a leaky PEX pipe. It seems that the pipe cracked longitudinally and released a great deal of water into the crawl space causing damage to the subflooring and consequently, the interior flooring as well. This scenario isn’t unusual. But, after the hot water line was repaired, a second crack developed in the same line, only days after the first crack was replaced. To make matters worse, a short time later, a third crack occurred, again, in the same hot water line. It almost seems that the fact that a hot waterline is involved has something to do with the failures and there are accounts on-line of people having similar problems. However, according to the manufacturer, as long as the conditions of the water do not exceed 80 psi and 140 deg, the piping shouldn’t be affected. In addition, as long as the chlorine level is below 3500 parts per million, again, the piping should not be affected. I’m not sure how accurate that information is since it tends to conflict with the pressure and temperature information written on the exterior pipe wall. As for the chlorine level, I have found reports stating that chlorine will continually degrade PEX piping, the greater the concentration, the shorter the service life. I have also found that the failures affecting PEX pipe currently are similar to the type of failures that were affecting polybutylene pipe, for which there was a massive recall. As far as I can tell, there are currently no recalls for PEX pipe.